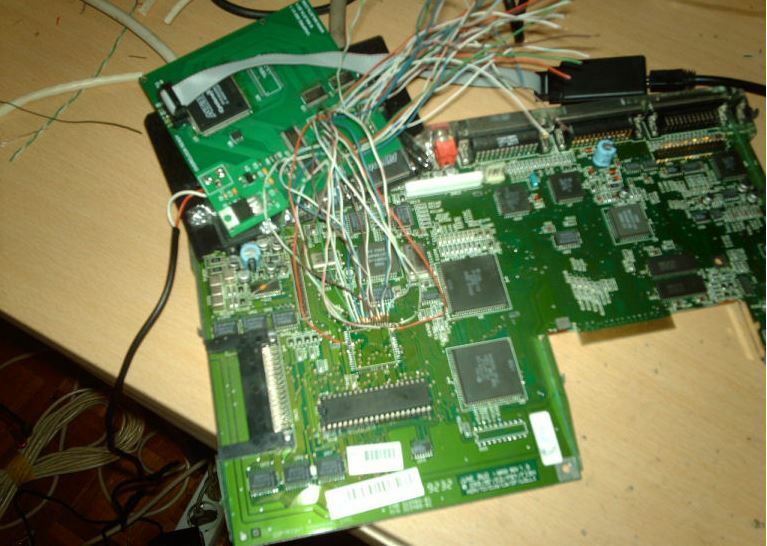 Igor Majstorovic is the designer of the Vampire 600, the first Amiga accelerator card based on an FPGA. Hello Igor! Can you introduce yourself? 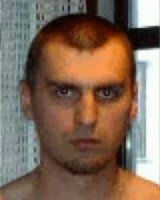 Hello, my name is Igor Majstorovic and I'm 34 years old. I'm a professor of geography. Regarding hobbies, I'm shared between retro computers and fishing. At the time when Amiga was rising as innovative computer machine, my country (Bosnia) was at war and I was only able to read about it but hardly to get one. And all of those years, I was only able to read about it. The reason for all of this work is maybe because I couldn't have it. After lot of time, let's say in 2011, I finally fulfill my dream and found one working A600 on second-hand market. What are your Amiga configurations? Like I said, in the past I never had or worked on an Amiga computer. I think that it was in 2002 when I actually seen one for the first time. Now I have about 15 Amiga 600, two A500, two A4000, one A1200 and one CD32. Lot of the things are from donations. What are your favourite activities on Amiga? Figuring out how different parts of this machine works, all the time thinking how developers were so smart back then. Did you have other projects before the Vampire 600? Why did you design the Vampire, and also why this name? 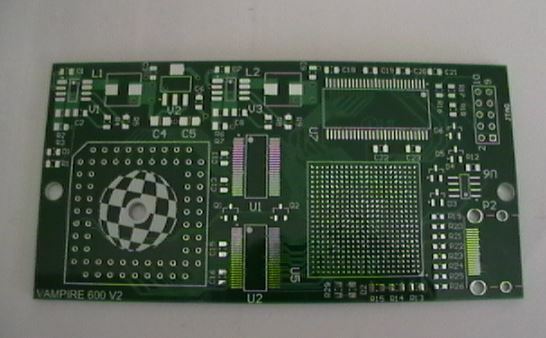 It was designed to prove only one thing: anyone can build an accelerator board for Amiga. About the name, it's the only word in Serbian that is used by everyone in the world. What were your primary goals for the Vampire? To build new concept and open source it so others can continue improving it or use it in their own projects. But also to demystify story about Amiga design as much is possible. What is the history of the development of this card? History of the development is too long to write here. Let's say there was lots of ups and downs and lot of bad words and wrong informations provided from some active Amiga developers who wanted to delay this project as much is possible. Like I said number of times, believe or not Amiga development is still huge business. What tools do you use? Which methods to design and build the card? About that, nothing special is used, the card is designed to be only the tool you need to debug. Which problems did you discover when you designed the card? 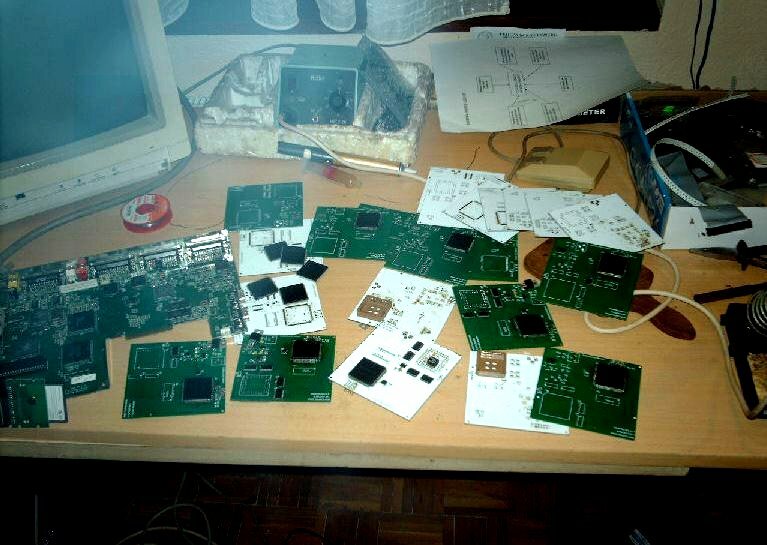 The bigger problems were to secure accelerator to Amiga and getting all the signals to FPGA. Who helped you to improve, test, build the first version and how did you meet these people? This project would probably never see day of light if there was no help from Alastair Robinson owner of the website retroramblings.net. He had some innovative ideas who helped a lot. There were contacts to some other developers, practically I was sending over 30 mails per day to various people seeking for answers. When you initially designed the Vampire, is there some people who, for a reason or another, tried to stop or to discourage you about this project and what was your reaction? I don't want to state names but in past few years, lot of interesting things happened. You can find all about that on various forum. One day I'll publish all the information's who and how wanted to destroy all what's done inside Apollo-Team. Who is send by whom and for what purpose. Trust me, now is not the time but boy, I could say a word or two what is Amiga today (not all members of the community, just one part who wants to decide what will happen with Amiga projects). Somehow they feel like they rule Amiga world and that anyone should ask them what to do regarding projects. When and how did you meet the Apollo Team and why do you work with them? Can you make a little presentation of the team? One day, I stumbled on Apollo Core website and I decided to send a mail, not expecting any answer. I have got reply and real talk started. On the other side was Gunnar "BigGun" von Boehn, a man with huge knowledge and experience. He wanted me to send him Vampire 600 cards so he can work on them and maybe improve something. First problem was that I have used too small FPGA and his core would never fit in it. Later on, we agreed that the new card should be done so Vampire 600 V2 was designed. On the IRC chat there are more than 10 people constantly, each one have his own area of expertise. Some are beta testers, others are ASM coders, hardware designers... I must say that Amiga didn't have something like this for ages. What is your main job now that they work with you? Correction, they don't work with me, I'm working with them, trying to learn something from them because I have huge gaps in Amiga knowledge. 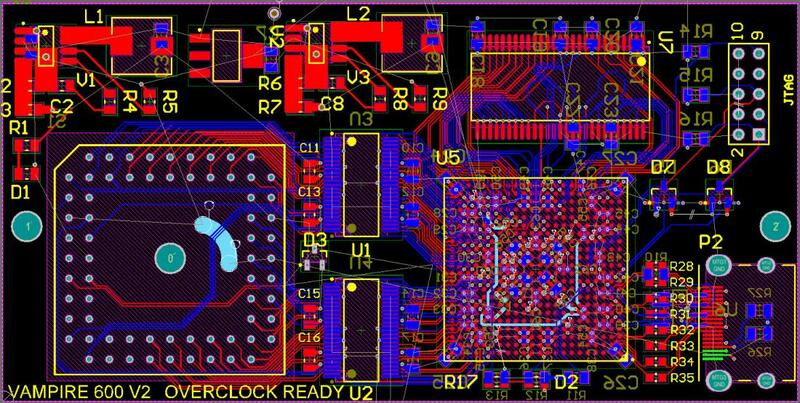 My role is designing schematics, PCB, soldering, some VHDL coding and learning ASM. Why did you decide to design a new Vampire 600? Like I said, in the old version we get to a limitation of used FPGA. 8K Logic's Elements was limit, now we are over 15K in the new card, with potential to go up to 40K. The core become really complex. Which version of the Vampire will be available? When and which price? Till the end of the year, all of those who placed their orders should get their cards. There is a huge chance that card will be faster than any card produced before for Amiga. What would be your ultimate challenge in the Amiga world? Or what after the Vampire? First, Vampire for all Amiga models. Later on, we will see. Do you look at other projects from the Amiga community and what do you think of these projects? The most interesting project for me lately was Minimig. A last message for the Amiga community?